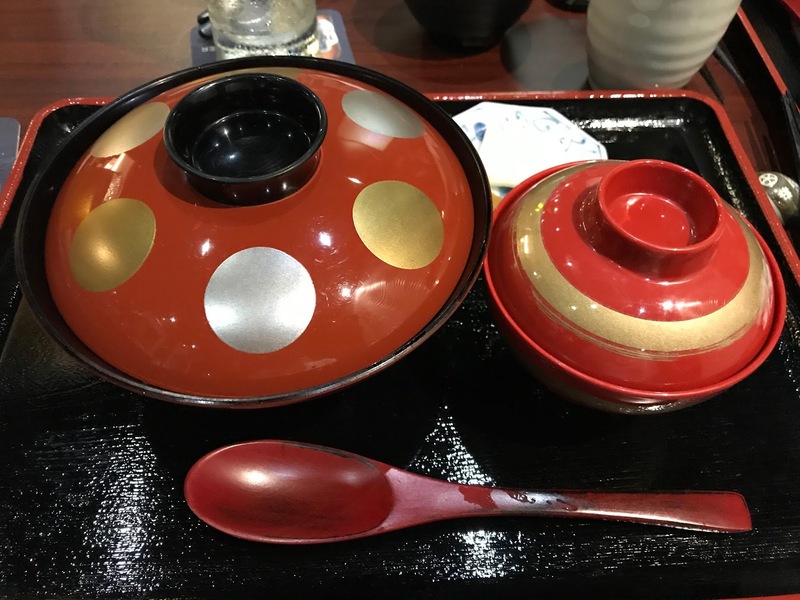 There are an abundance of Japanese restaurants here in KL, and there certainly are several that are good. 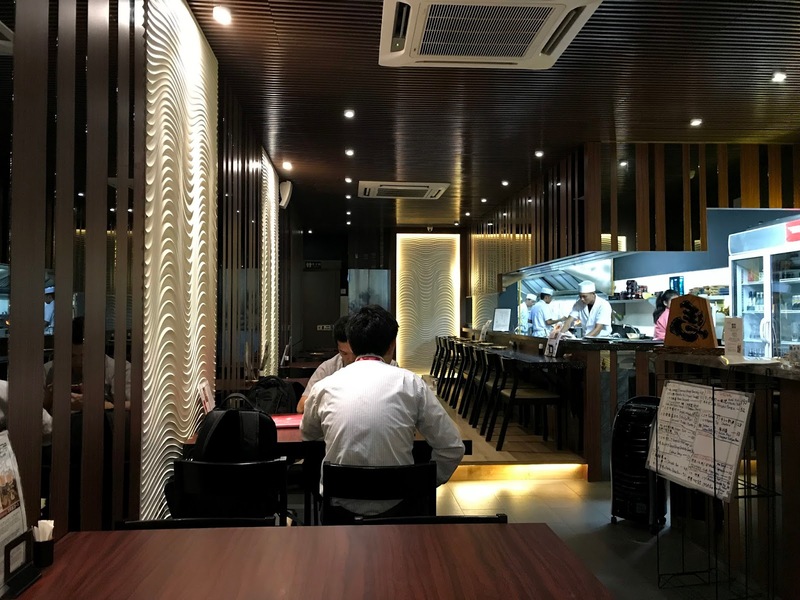 For fans of Unagi (eel), I'd definitely recommend this, KL's best and only Unagi-specialised restaurant - Makoto Japanese Cuisine, here in Desa Sri Hartamas. 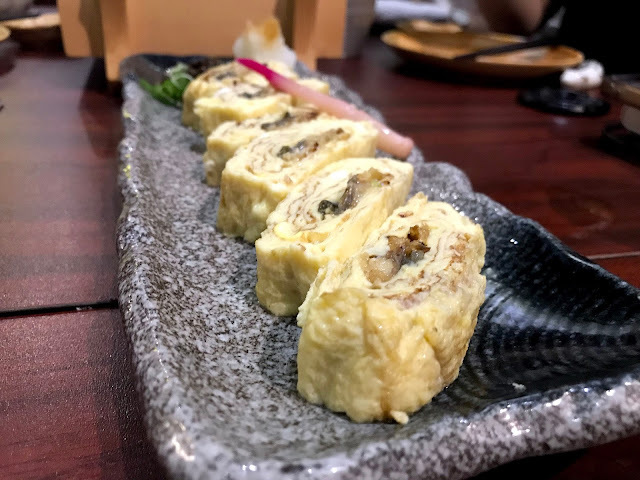 Fans of Unagi will definitely enjoy what Makoto has to offer - apart from its obvious Unagi-glory, they too have a variety of other interesting and unique dishes to offer. Kicking things off with some palette cleanser - Oshinko Moriawase - a concoction of homemade Japanese pickles that is light, slightly sour and packed with natural sweetness. 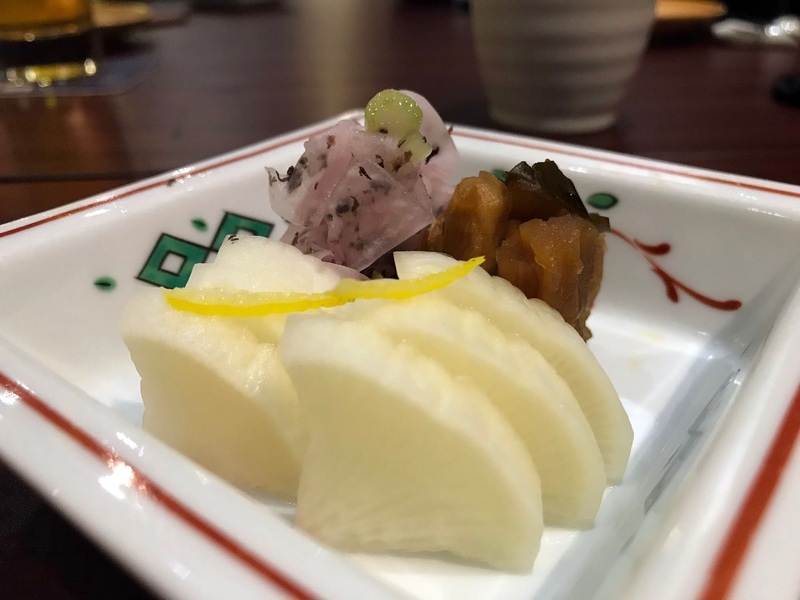 Personally, I love pickles, especially pickled radish, and this is definitely one of the top 5 pickled radish that I've had so far. Next up on the appetiser menu - Unagi Bones! Yep, deep fried to crispy perfection and seasoned lightly with salt, these little twigs of joy are a great pair to some icy cold beer! Now this is what I'd look forward to in every Japanese restaurant - fresh air-flown sahimi, straight from Japan. 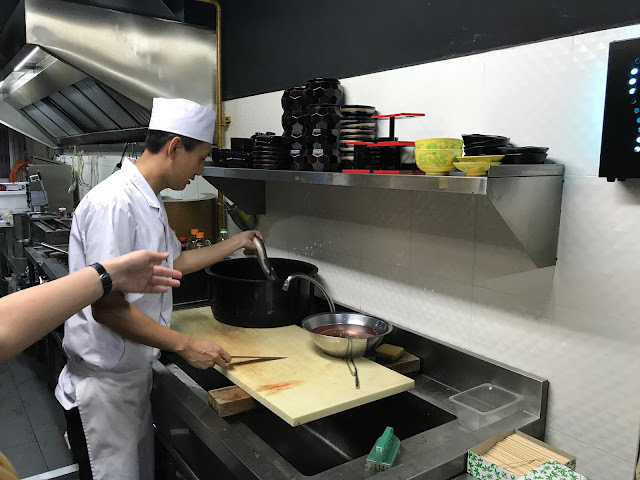 The choice of fish will differ from day to day, depending on what's available that season, as well as what's fresh for the day. 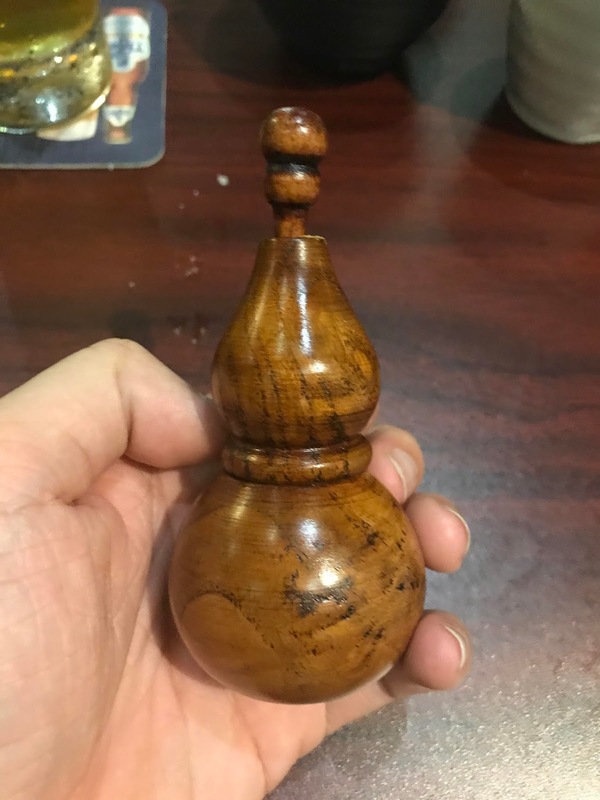 It's a great way to try out something new, and I was more than pleased with it. A blend of Unagi & omelette, what else could you wish for? 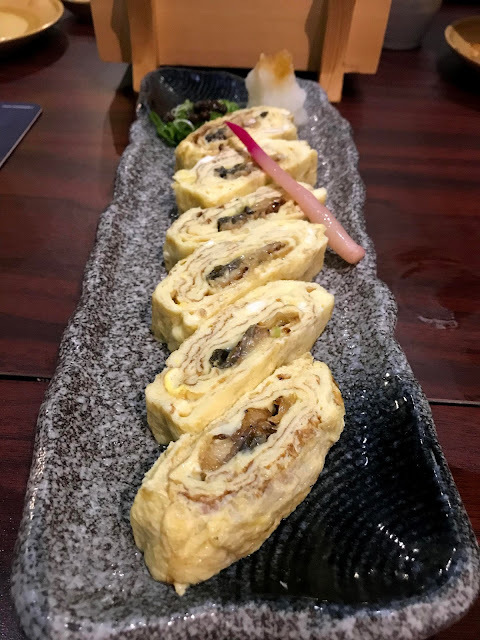 The omelette was light, fluffy and seasoned beautifully, and the Unagi itself was moist and savoury. A fantastic mix of flavour and texture, and definitely worth ordering. Though many might tell you to give it ago, I won't say that I'm do the same. 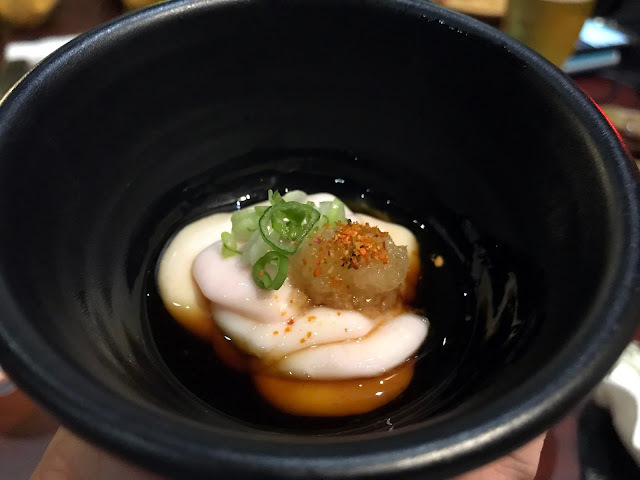 To those that are unsure of what Shirako is - it's Milt, otherwise known as Cod Sperm. 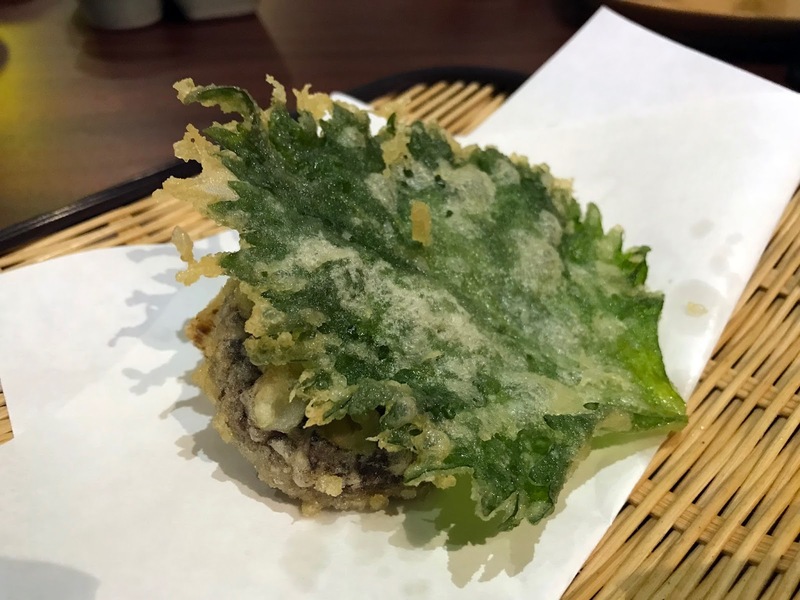 It's considered as a delicacy in Japan, and is usually available during Winter season. To me, that texture was really weird. It had that soft tofu-like texture, yet it stuck together with connective tissue like fats. It's rather unbreakable, and is recommended to swallow whole. Some of them said that it is fairly tasteless, but personally, I found the taste to be rather distinct. It wasn't awful, but it certainlt was one of a kind. Those who wanna give it a shot, definitely do! After all, it's not everyday that you'll get to try out something this bizarre. A concoction of seafood and veggies fried with a light & thin batter till crispy perfection. 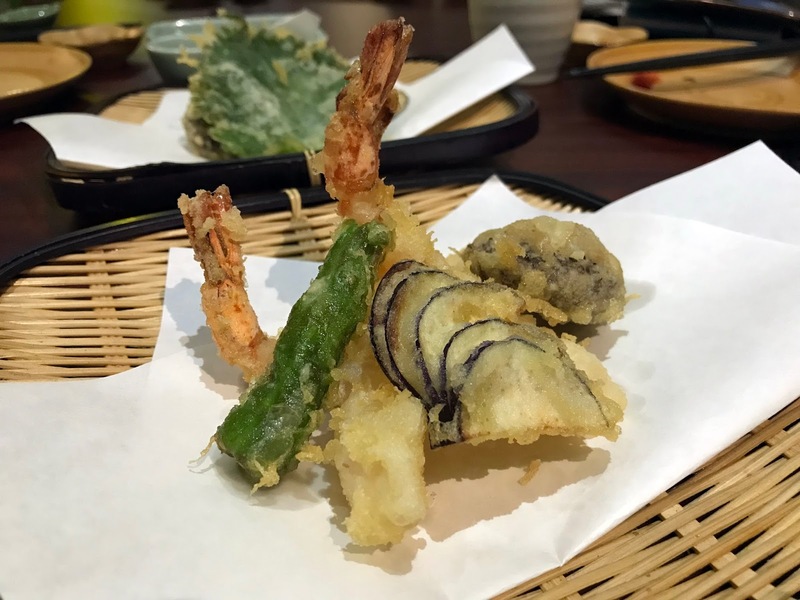 One of the better tempura's I've had in KL, and the price too is fairly affordable. Do recommend for those who enjoys tempura. Now, for the star of the show - Unaju. 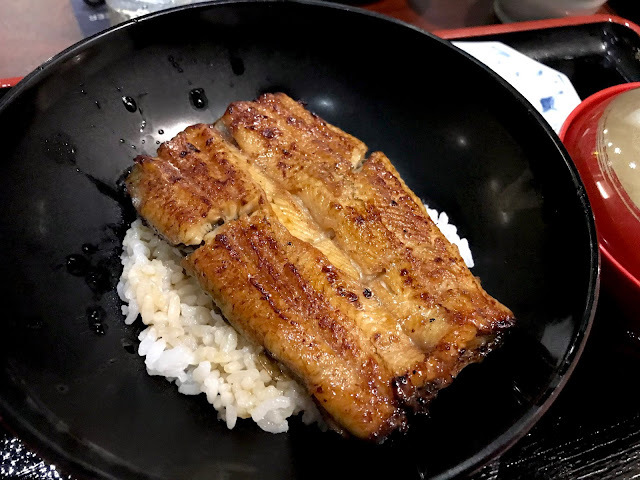 For what it is, it's eel with rice. But its not just any Unagi, it's live Unagi - and probably the only one that does in here in KL. Each eel is kept swimming in tanks (like what you'll find in most Chinese seafood places), and is only prepped to order. 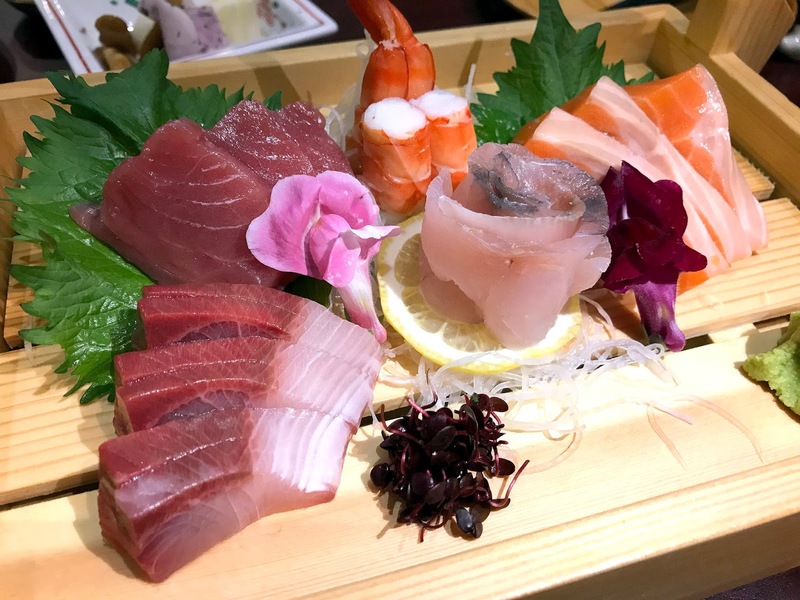 Makoto's in-house Japanese chef, Chef Hayashi, a trained & experienced chef, does all the work. 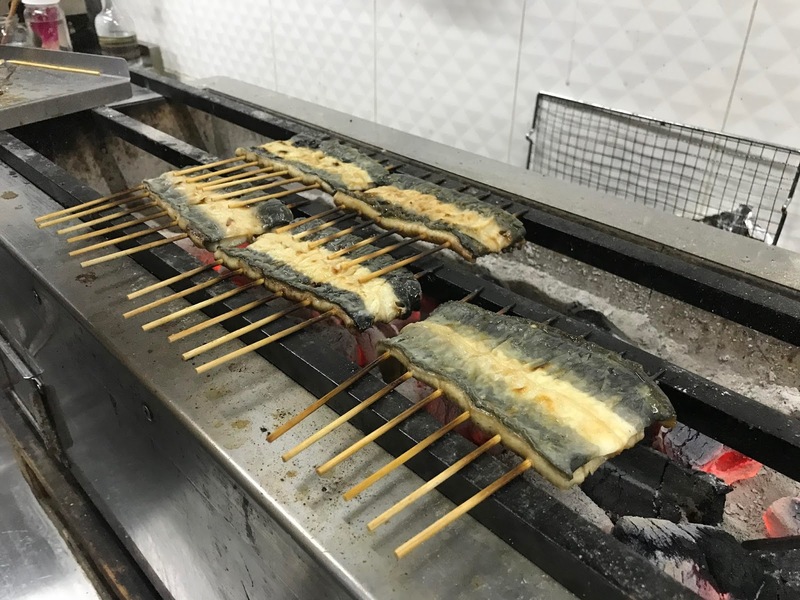 First by filleting the eel, followed by a charcoal grill for 10 minutes, before being marinated once, and grilled again. The entire process will take roughly 30 minutes, so do wait patiently for your fresh Unagi. Taste-wise, definitely something to shout about. It's fragrant, savoury and well-balanced. The sauce wasn't overly sweet, and the Unagi was free from that 'fishy' scent. The rice was nice and fluffy, and it just wraps the Unagi real nicely. 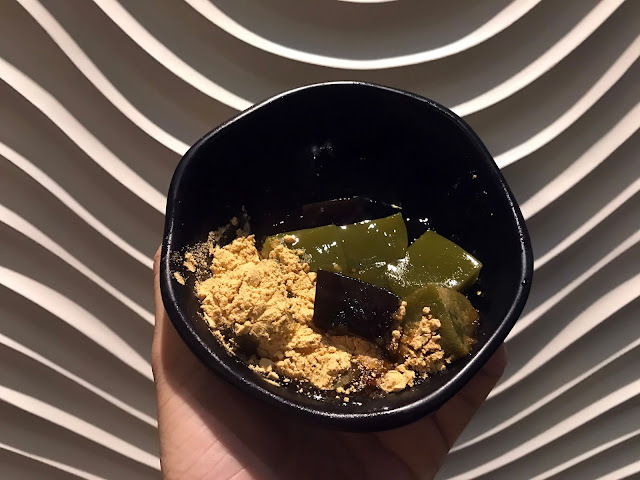 Served with a side of soup to wash it all down, Makoto Japanese Cuisine's Unaju is undeniably the helm of the restaurant. Oh, don't forget to add a little of this to your Unaji. It tastes a little like those sichuan peppercorns, and it does give it a slightly numb-ish feeling. Don't add too much, just a sprinkle would do, and that'll change the taste of the dish! Finally, dessert. To end the meal with a sweet concoction of homemade mochi & jelly, dusted with soybean powder. A good bittersweet balance, and a great finish to say the least. Overall, Makoto Japanese Cuisine is without a doubt, one of the top Japanese restaurants in town. Apart from their Unagi, they too offer seasonal items on their menu, written each day with a trusty blue marker. Makoto Japanese Cuisine also offers private dining rooms for businesses & executives, as well as a decent range of alcoholic beverages to compliment the night. So, if you're in the mood for some fancy Japanese food, or just want to give their Unaju a try, do come on down! Parking is a little difficult, but it'll be well worth the effort.